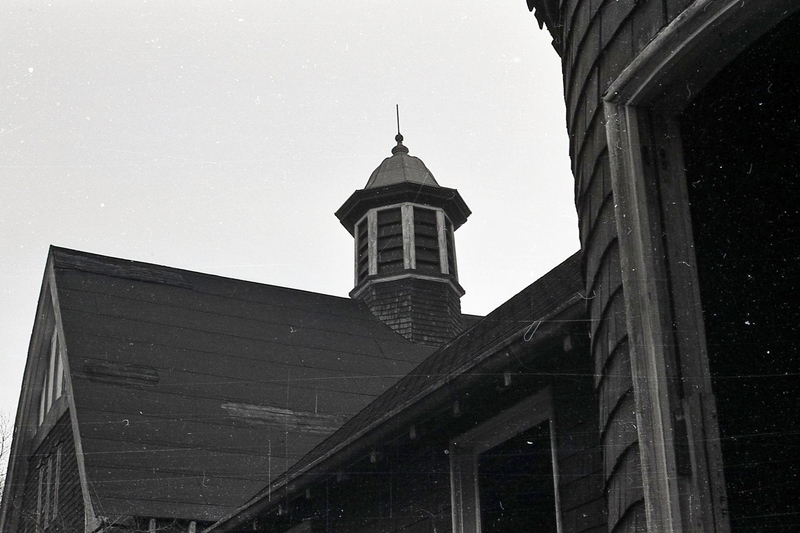 These three shots were taken in 1981 for a photography class I was taking at Bridgewater State College. At the time I took the photos, the brick building that stands on top of the hill was the S.M.A. Fathers’ Queen of Apostle Seminary. 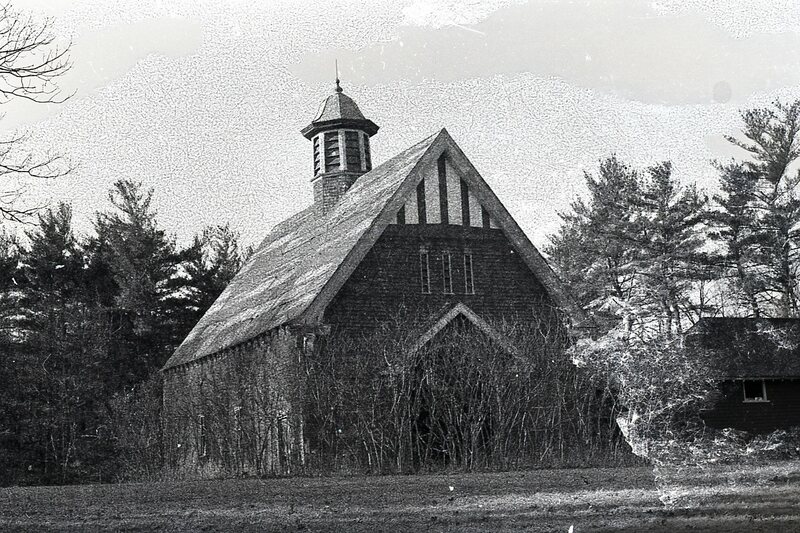 The barn once stood on the George Nickerson estate on Common St., on property now owned by Northeastern University. Nickerson was the brother of Albert Nickerson, who built the castle at his “Riverdale” estate, which has been home to Noble and Greenough since 1922. 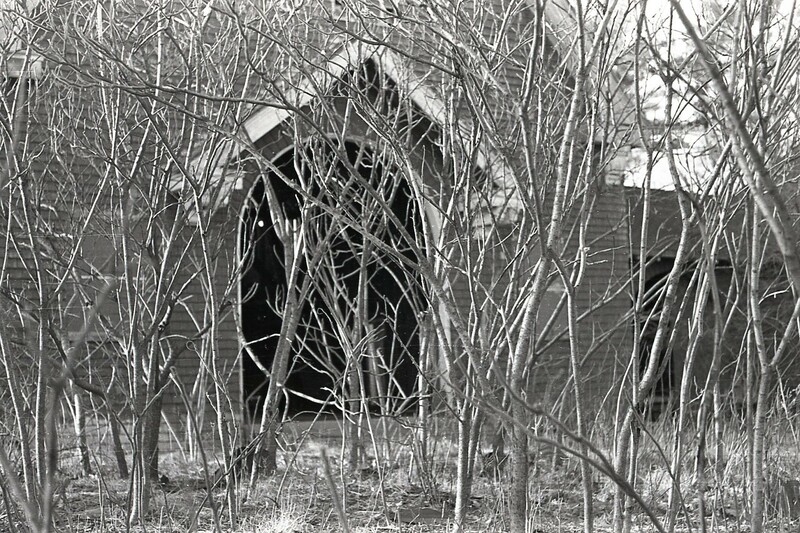 The barn, which was red, stood behind the seminary. There was also a run-down log cabin in the woods of the Wilson Mountain Reservation. The grainy quality of this picture was not my attempt at being artsy. The negatives were stored in my basement for years, and this one got stuck to its glassine envelope. This entry was posted on August 23, 2011 at 2:01 pm and is filed under JP's Dedham, Lost Dedham. You can subscribe via RSS 2.0 feed to this post's comments. You can comment below, or link to this permanent URL from your own site. Great pictures. What else you got in the basement? Then some jerk burnt it down one night. I like the grainy image.